It’s almost Valentine’s Day again… But you don’t have to resort to the usual dinner, roses, and chocolate option. Fort Collins and the Front Range are full of great date options for you and that special someone. Some are even right here at your health club. Check out these 10 non-traditional options for you this weekend that are guaranteed to be fun and memorable. Spend a day skiing or snowboarding in the mountains. This option allows you a full day of fun with the one you love most. Have kids? Bring them along too! Get your exercise and, at the end of the day, warm up next to your significant other with some cocoa and a crackling fire. Take a tour of CopperMuse Distillery and enjoy the tasting room. Tours at this Fort Collins distillery (& RAC Business Partner) are held Thursdays and Fridays at 5pm, Saturdays and Sundays at 1pm. Slots fill up quickly, but are guaranteed to be a new experience for most people. Book your tour soon! As an added bonus, RAC members get 10% off when they show their membership card! Participate in a painting class at Pinot’s Palette. Have you ever tried painting? How about painting while enjoying wine or champagne? 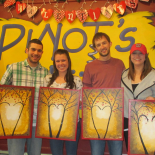 Pinot’s Palette’s motto is, “Paint, Drink, Have Fun.” What more could you ask for? Book your class online, — Valentine’s Day specials are offering chocolate and champagne pairings. As an added bonus and incentive, RAC members get 15% off painting and wine classes! Partner Yoga Workshop at RAC. Raintree Athletic Club is offering a special Partner Yoga Class on February 12th from 6:30-8:00pm. Open to members & non-members… cost for members is $24 per couple, for non-members $30/couple. This class is 18+ only, but is not limited just to couples. Bring a son, daughter, husband, wife, friend, or parent! Sign up at the front desk or call RAC at 970-490-1300. A time to relax with Radiant Balance Massage at RAC. Who doesn’t love to be pampered especially with a massage that will leave you feeling your best. Radiant Balance Massage, located within Raintree Athletic Club, offers 30-90 minute massage options — open to members and non-members. Choose from relaxation, hot stone, neuromuscular rehab therapy, and deep tissue massages. Give the gift of ultimate relaxation to the one you love. Catch Me if You Can 4 mile and 10k Run. Grab your significant other and joins the Catch Me if You Can Run on Sunday February 14th at 9:00am, at Anheuser-Busch. A great idea for couples looking for an active start to their Valentine’s Day Festivities. For this race all ladies get a 3-minute head start. Gentlemen, you think you can catch up? Register online for this race soon! Start date night with a work out together. Hit the gym together this Valentine’s Day — make it a partner workout! There are many options to support your significant other and work together to build a healthier lifestyle. Check out some online options, or build your own workout together! Secret Room/Escape Rooms Adventure. Do you enjoy puzzles? Riddles? How about those online games where you escape the room? Now you can participate in a real life escape game, right here in Fort Collins. Test the limits of your logic and skill — trust me when I say it’s an incredibly entertaining experience! There are three options in Fort Collins, all slightly different, and all costing about $25 per person. Sign up soon to reserve your spot! Wine Tasting at Vintages. Vintages is a Fort Collins, micro-batch winery that offers tastings, wine pairings, custom wine tailoring, and blending workshops. It is located at 120 West Olive Street. Call Vintages at 970-535-2426 to book your wine tasting reservations! As an added bonus, RAC members receive 15% off wine purchases with their membership card. 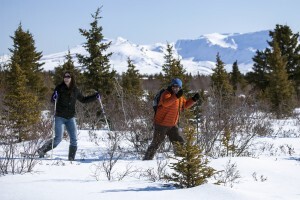 Winter Hiking or Snow Snowshoeing. 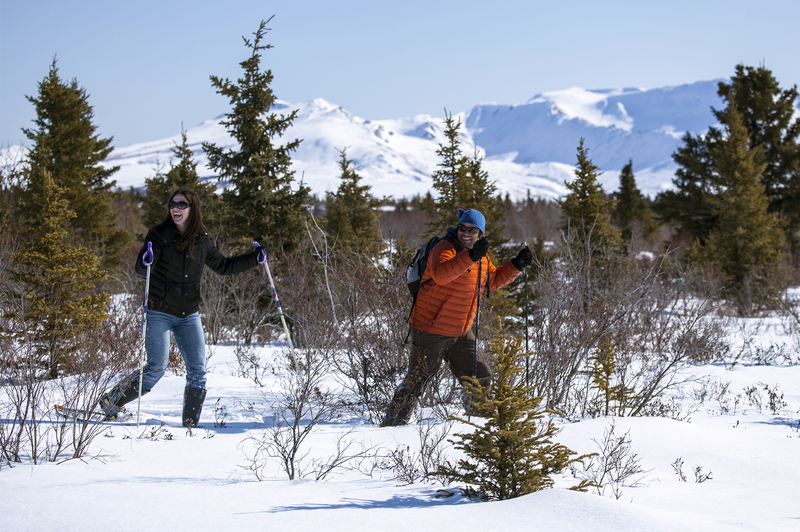 If you’re not interested in skiing or snowboarding, there’s always time for a winter hike or snowshoeing trip. Weather permitting, this activity will get your blood pumping and is usually free of charge! Now don’t forget Valentine’s Day is this Sunday, so pick a new activity for you and your significant other soon. Hold the roses and chocolate — for the non-traditional couple these new experiences may create the best Valentine’s Day memories.